One of the most enjoyable parts of Christmas is decorating the house to make it Christmassy and welcoming for our families. Local Mums recommend the best suppliers in our area. "I highly recommend�timbatree�to all Local Mums. The trees are made from beautiful wood and are a lovely alternative to plastic Christmas trees or expensive real ones. They're really easy to store and very practical.�They're versatile too; you can pop one up at a party or wedding and cover them in cupcakes, or cover them in chocolate eggs for Easter and they look great. The kids love it!" 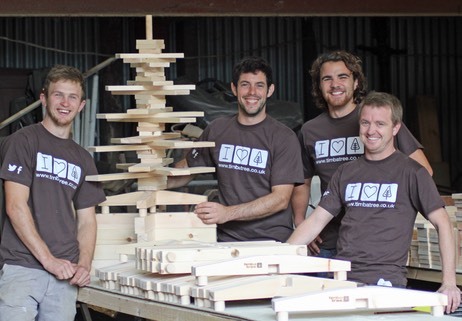 timbatree�is the inspiration of Joost, an ambitious carpenter with a passion for wood. Put him in a forest and he’s a very happy man. Brought up in a family of carpenters and decorators, Joost was always encouraged to be creative. Cutting, sanding and shaping from the age of 14, it’s no surprise he’s aiming high, breathing new life into our rather antiquated Christmas traditions. Joost now runs an international carpentry business, and is dedicating much of his time to firing up the next generation of master carpenters. But it’s not all about one man, there’s a whole team of folk behind this simple tree. And every single one is committed to the environment. They ensure each supplier is FSC accredited, source locally where possible and take great interest in the communities that supply their timber. At timbatree HQ you won’t be surprised to know there’s a tree up all year round. Sometimes it holds postcards from far flung shores and occasionally little teapots from vintage shops. It’s also been known to play host to chocolate eggs, albeit briefly! If the team achieve one thing, it’s sharing their passion for the environment and love for wood with you. Look, it’s fun and playful! It’s simple and beautiful. And it doesn’t cost the earth. 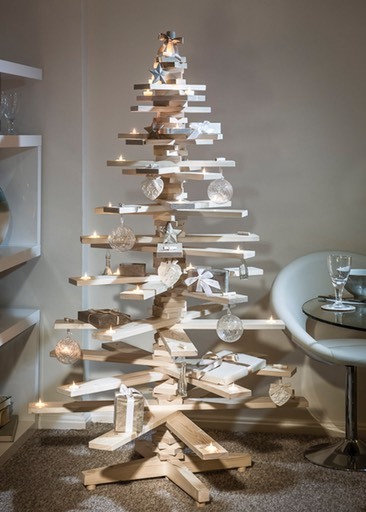 timbatree�is what the planet would choose for Christmas!